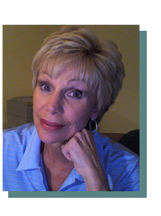 Originally from St. Paul Minnesota, Diane moved with her family to Huntsville Alabama. Her college years were spent in New Orleans at Loyola University and then at the University of Alabama in Tuscaloosa, AL. where she graduated with a BFA, majoring in painting and graphic design. She married and started a family and then moved to Atlanta, GA and began a career in advertising. She ran a graphic design studio for 10 years and founded a full-service advertising agency in 1982. She served as Creative Director and President. In addition, she was also the Account Executive for several home-furnishing companies. Buffington Rizzo was listed among the top 50 advertising agencies as well as Number 18 in the top women owned Atlanta businesses in the Atlanta Business Chronicle from 1990 to 2004. In July 1998, Diane was named a "Business Diva" by Business-To-Business Magazine and has received various advertising awards for creativity in advertising. Retiring in 2007, Diane began to paint seriously. Art has always been an important part of her life. Her painting is the expression of lessons learned along the way. As an art student, painting was always my favorite expression. But I was also impressed with the power of creative ideas that influenced people. Campaigns like "Think Small" or "We Try Harder" motivated me to embark on a career in advertising. After owning and running a boutique ad agency for 25 years, and catering to clients in both consumer and business segments, I have returned to painting. My art centers around human relationships, political opinions and experience gathered over the years. There is a similarity to advertising art and my work. The idea is to make the viewer think, question and feel. If I can achieve that I will satisfy my client, me.